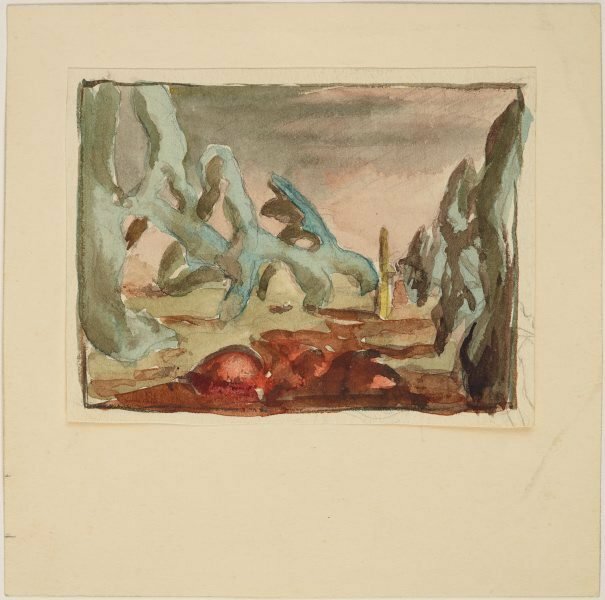 One of a number of early studies for surreal landscapes, this drawing is closely related to a painting. Although tiny, its landscape forms are monumental, akin to those in Gleeson's most recent paintings. Hendrik Kolenberg and Anne Ryan, 'James Gleeson: drawings for paintings', Art Gallery of New South Wales, 2003, pg.32.